The Anarchapulco Conference in Acapulco, Mexico is over. I am glad I attended. I met many new friends, learned of experiences and points of view of other attendees and had a great time. I was invited to speak at the conference and chose to talk about personal experiences and influences that made me what I am today. Talking about my family history is often painful for me and this occasion was no different. I struggled to maintain my composure as I tried to recount my parents' history in the first half of the last century, the death of my brothers before I even got to meet them, and World Wars I and II and the effect they had on my family and ultimately on me, even though I was born in 1945 after the end of World War II. I tried to underline the fact that we are either free or enslaved. If we are not completely in control of our own lives, we are not free. If we lose siblings (as I did) or children or other family members to wars that we are forced into by our political 'leadership', the individuals lost are not 'collateral damage'. The losses are real. Family and friends suffer of course, but the real tragedy is the loss of the lives that are cut short. The potential to live, to enjoy life, to raise families, to change the world in even the tiniest way is gone. What a waste. My Anarchapulco speech appears below. Because of my propensity to wander off-topic when I speak, I ran out of time and didn't quite get it all in. I was asked by a number of attendees at Anarchopulco to make the entire speech available as written, so here it is. Don’t Let the Bastards Grind You Down. -- Living your life out of sync with everything and everyone around you. It is really nice to see all of you here. I would like to thank Jeff Berwick for the invitation to speak here today. It is a great pleasure to be able to meet so many like-minded individuals, all in one place. And it’s nice not to be at home in Canada right now, where it is still cold and snowy. May I presume that everyone here today is an anarchist? How many of you are the only anarchist in your family? How about among your closest friends? I see that I am in good company. I have often said that my parents might have thought of me as some sort of alien visitor from another galaxy. They loved me but I think I can safely say that they never understood me and my ideas and my need for freedom and individual responsibility. I’m sure you know what I am talking about. I have lived a very chaotic life, often not fully understanding what was going on around me because my view of how things should be didn’t often sync with the way things actually were. In the early nineteen-sixties, I played in a rock band and we were trying to come up with a cool name for the group. Our keyboardist suggested that we call ourselves the Fugahwees. Every time we started rehearsing a new song, someone would get lost somewhere in the song and would inevitably shout out above the racket: “Where the f*** are we?” Hence, Fugahwees. It has occurred to me that however much things might have changed from 1962 or so, one thing remains: We are all still asking ‘Where the f*** are we?’ We are still all trying to make sense of our world and how we fit in. And it is getting more complicated every day. We don’t know what’s coming in the years ahead. We are in uncharted territory and we really don’t know how to prepare for whatever it is that will face us in the future. We certainly aren’t free, in any meaningful way, and one thing we can count on is that our freedoms will be further restricted in the years ahead. Should we be depressed about this and simply give up? I think that it is safe to say that most of us here expect some substantial upset over the coming years – collapsing economies, civil unrest, increased scrutiny by an alphabet soup of national agencies wherever we live and government thievery on a scale unimaginable just a few decades ago -- all in the guise of helping us. Yes, it can be depressing. And if we let these things affect us to the point where we can’t sleep at night and where every waking thought is about how to avoid getting into trouble or even going to jail, that isn’t a life worth living. In the early days of being in business, during a period of wall-to-wall business problems and the stress that resulted, I sought advice from a friend who had been in business for a lot longer than I. He looked at me as I entered his office and asked me what was wrong. I told him how tough things were. I admired and trusted this man and I looked forward to getting some good, solid, advice that would help me deal with everything. This wonderful bit of direction was given to me by my friend, Francis X. Sheehan. Frank was an insurance broker at the time but he was actually elected as a Progressive Conservative provincial member of parliament in Ontario in 1995. He was one of a very few politicians that I would ever trust. He only lasted one term in office. He was one of the good guys. He didn’t fit in. Frank’s advice to me was one of the best suggestions I have ever received from anyone. What did his suggestion really mean? To me it meant that it was up to me to refuse to accept my situation and to work hard, take responsibility and elevate myself. It was up to me to change things for the better. Other people and circumstances weren’t going to change to suit me. The ‘bastards’, whoever they have been over the years, haven't ground me down. I'm still standing, bloodied but unbowed, bruised but not broken. And through it all, I have managed to maintain my sense of humour. Maybe I should have Frank’s words tattooed on my buttocks, so whenever I invite someone to kiss my rear end, they can read and understand that I am someone who doesn’t like being a serf. I am my own master. I take my life, my independence, my responsibilities very seriously. I will not let anyone trample my right to live my life on my terms. There isn’t a person alive who knows what I want and need better than I do. And whatever it is that I want and need, it is always up to me to get it -- not to steal it from you or anyone else, even if it’s indirectly via taxes. Life has its ups and downs and its rewards and failures. We may encounter many idiocies that defy understanding. In my experience the biggest idiocy is to entrust our lives and futures and the care of our children to a bunch of nincompoops in government. These are people who invariably screw things up and leave us with the bill. Government rules and regulations, from a plethora of ministries, departments, bureaus and whatnot, tell us what to do (and how) and through it all we are expected to maintain our equilibrium and good humour, all while sacrificing our liberties and peace of mind. But it’s OK -- after all, they are just trying to take care of us, right? I don’t need taking care of. Neither do you. For those of us who aren’t robots or masochistically-inclined, who don’t like or need to be ruled and treated like chattels, life in today’s world can be at least frustrating and possibly severely debilitating. But, we can’t let the bastards grind us down. I have never been able to figure out why so many of us think that we need leaders to act on our behalf, to make decisions for us, to control our behaviour, to insult our intelligence at every opportunity, and then charge us taxes in addition to having to endure the indignity of living as slaves. And when things get complicated, as they invariably do, there is a clamour for ‘strong’ leaders to ‘take action’. After all, ‘something has to be done’, so somebody needs to do something. And then because our leaders at best have no clue what to do, or at worst have their own self-serving agenda, we are faced with the inevitable unintended consequences. We get what no-one wants – more complications, less freedom, more taxes. Think of all the infringements on our freedoms in recent years, the electronic spying and the even the TSA groping that we have to endure. Think about the huge financial bill that has to be paid as a consequence, but never will be. Our grand-kids will still be paying ever-increasing taxes because of all this and things will still not have gotten any better. Why do we think we need leaders? Has there ever been anything, at any time in human history that makes an irrefutable case that our representatives in Congress, Parliament or even at city hall, accomplish anything useful, or at least give us something that private enterprise couldn’t do better, at lower cost? Then, we have to ask the question of why anyone would wish to be a ‘public servant.’ Does anyone here honestly think that individuals who run for any sort of political office actually want to serve us? They don’t give a damn about us. They have some sort of agenda, either personal or ideological, and they want us to do their bidding, definitely not the other way around. They want to be our masters. They know it. We know it. Yet, somehow nothing ever changes. There is a lot of blather from politicians about ‘wanting to serve’ but what they want is power, money and prestige. In the 1960s, French president Charles de Gaulle was at least honest about politics when he said: ‘In order to become the master, the politician poses as the servant’. The tragedy is that we all know what is going on but we still put up with it. What if one political gang is in power and we clamour to replace the current bandits with another group? Are Republicans better than Democrats? Are Liberals better than Conservatives? What about if we were able to elect a Libertarian government? Does it really make any difference who is in power? Let me tell you a bit about myself and how I came to think the way I do. 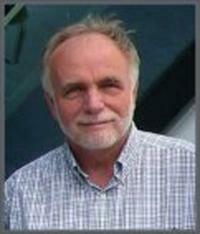 I was born in Germany in 1945, just a few months after the end of World War II. My family, sick of all the upset in Europe in the first half of the twentieth century, had enough. We left for Canada in 1949, when I was about 3 ½ years old. I discovered early in life that I didn't like being told what to do, especially when what was expected of me made little or no sense. I was anti-authoritarian in a major way. I was usually respectful of my parents but every other source of authority was suspect. Most of all, as I grew older, I became wary of political philosophies that caused diminished individual liberty. History, generally, and family history in particular. I listened to my father tell stories of his childhood among other Germans settled in Poland in the early 1900s, and his family's political exile, when he was a small boy of ten, to Siberia in 1914. The Russian Czar didn't want Germans in Poland siding with the German government during World War I, so he had them shipped, via cattle trains, to one of the coldest and most inhospitable places on the planet. In Siberia, my dad’s family lived in a sod hut with two rooms. One room was for the animals and one was for the family -- the seven children out of fourteen who survived and the parents. Were my grand-parents and other Germans given a choice? No. The Pedde family and other Germans were ultimately allowed to return to Poland after the end of World War I in 1918 and they began to rebuild their lives. In 1939, Adolf Hitler's Nazis invaded Poland and before long World War II was underway. The opposing Allied forces led by America, England and Russia got involved in the fracas and it was only a matter of time until Russian troops advanced into Poland from the east. Frightened Germans still living in Poland fled towards Germany. They preferred to face the Americans and English rather than the Russians. I was not yet born. 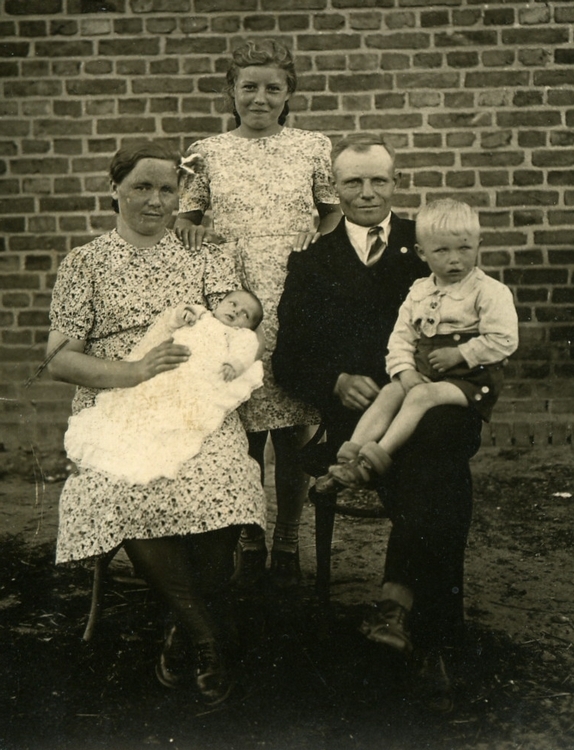 My mother and father, my sister Wanda and brothers Albert and Erwin headed towards Germany. My father’s experiences, as what today might be called a conscientious objector, between 1939 when the Germans took over in Poland and 1944 when they fled westwards, would fill a book. Hitler and his goons ruled with an iron fist and didn’t take well to anyone who was out of step with their worldview. As my family fled westwards, somehow my father got separated from my newly-pregnant mother. My mother’s group travelled on foot through the winter of 1944-1945. Everywhere along the roads were rotting corpses of refugees and horses who had succumbed to the cold and lack of food or who had been strafed by fighter planes from above. Sometimes they managed to hitch a ride from kindly strangers with horse and buggy. Occasionally a train ride was possible, although schedules were undependable and destinations often unpredictable. On one occasion, my mother and her group managed to board a train heading in the right direction. As my mother was about to step aboard, a Nazi officer forced her, at gun point, to leave behind one of the two suitcases she carried. That suitcase contained much of what she needed to care for her two young sons. Inevitably, Albert and Erwin got sick from the hunger and cold. By the time the group reached Graal Müritz in northern Germany, the two boys were so sick that they were immediately taken to a government-operated children's clinic. While there, a nurse who had taken Erwin for a walk left him outside overnight in a baby buggy. He contracted pneumonia. Then Albert was diagnosed with meningitis. My mother and sister were not allowed to visit Albert after that. 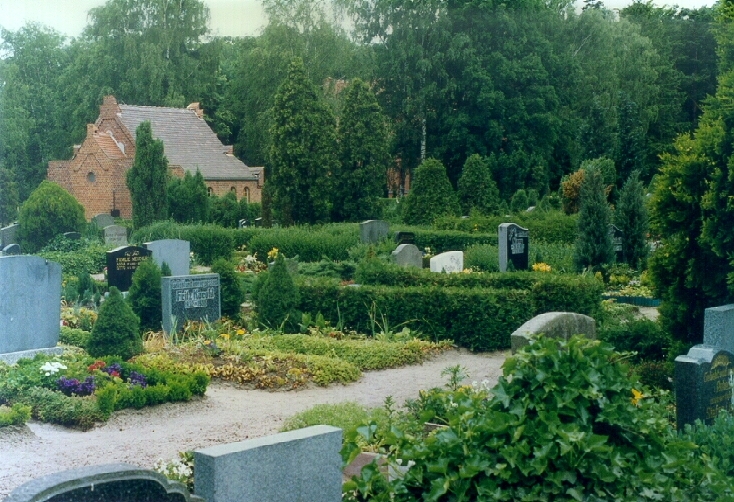 Both boys died in the clinic and were buried in Graal Müritz. Albert was a little over three years old; Erwin was less than one year old. My twelve year old sister endured it all. The Russians continued to advance from the east. My mother and the rest continued to flee towards western Germany and ultimately ended up just north of Hamburg where they were finally able to rest as World War II came to its conclusion. There, in a village called Groß Steinrade, I was born in July of 1945. We lived briefly in a fire station and then moved to nearby Heidmühlen, where we waited for my father to find us. He finally appeared one day, after bicycling around northern Germany for months, from one Red Cross centre to another, looking for any refugee list with my mother's name on it. It was a bittersweet reunion. After being separated from my mother for months, my father found that he had lost two sons, Albert and Erwin, and gained another, me. Was all this death and misery necessary? Is this what my parents would have chosen for themselves? What about any of the other estimated 70-plus million individuals who died directly or indirectly as a result of the war? As I grew up, I listened to these stories and many others with a cold fury that escalated over the years. It was very clear to me that wars and atrocities were not caused by the average citizen who was trying to make ends meet and make the world a better place for themselves and their children. No, the blame should be directed to those political ideologies which subjugate the rights of the individual to the interests of the state. Because my father happened to be in Siberia during the time of the Bolshevik Revolution in 1917, he had a unique perspective on both Russia's communism under Vladimir Lenin and then, years later, Germany's socialism/fascism under Adolf Hitler. My father was a simple man and not given to pontificating and elaborate analysis on the human condition. He never quite articulated the message that I gleaned from his stories but it was evident that he understood what I will say here today: totalitarianism is totalitarianism. It doesn’t matter whether it is painted red or blue. It doesn’t matter whether it is cloaked in ideology of left or right. It is what it is and it isn’t good. The only difference between Communism and Fascism is the rhetoric. The net, practical result of each political/philosophical system to the populace is a complete lack of respect for the individual and the freedom to do what you wish, when you wish, with whom you wish, under circumstances that you alone control. Of course, there are governments that start out fairly benign but which deteriorate over time. The direction is always towards more control over the population, never less. The bigger the government, the worse it is for the citizenry. I decided early in my life that the individual should bow to no-one, expect nothing from anyone, and accept complete responsibility for his or her life and actions. I think I was twelve years old when I formulated pretty much the philosophy I follow today. I realized, as I think any intelligent person should, that we have to understand what rights truly are and of course what they can never be. Let’s look at, by example, the three basic rights outlined in the U.S. Declaration of Independence, namely Life, Liberty and the pursuit of Happiness. "The right to life simply means that no-one else has the right to kill you. It doesn’t mean that everyone else has to support you, entertain you, educate your children, and give you a place to live. "The right to liberty simply means that no-one has the right to detain you, to force you to do things you don’t wish to do, to keep you from doing things you want to do, or to restrain you from speaking freely or assembling with others. It doesn’t mean that you can escape responsibility or consequence if you have caused harm to others. "The right to pursue happiness is your guarantee that no-one can reasonably interfere with you as you go about your life unless, and this is very important, your actions interfere with the similar rights of others." It is especially important to also acknowledge the right to own property and that it is necessarily a natural right which exists as a direct consequence of the right to life. If we have a right to life, then it follows that we should have a right to keep what we produce or acquire as a result of ethical effort. I was chatting with a young gentleman once at a political dinner and he asked me how long I thought it would take to elect a government that would promote these rights and the responsibilities that come with them. I didn't know whether to laugh or cry in response. It wasn't a silly question. It is just that, from my perspective, I have seen much and have attempted to do much in this direction. I've been at it for decades. I am only one of many, all of us attempting to bring about a truly free society. Yet, our combined efforts, in various organizations and political parties, have resulted in barely measurable results. That is a fact. That is also disheartening. When a group of Canadians, me among them, met at a U.S. Libertarian Party Convention in Cleveland, and then brought the Libertarian Party of Canada to life in 1973, I was excited. I could hardly wait for rapid changes for the better in Canada. As others became aware of the Libertarian movement, I thought, and saw all the benefits that would arise from the rights of individuals to interact socially and economically without unnecessary meddling by government, they would vote Libertarian. No, they wouldn't. I was optimistic. I was naive. I was wrong. We are, unfortunately, a long, long way from any form of limited government. People, generally speaking, don't want freedom. Freedom means responsibility and too few of us want to take responsibility for our actions. Freedom means making informed decisions. That means thinking. Most people don't want to think. They want to do as they are told. Freedom means taking action. That sometimes means taking responsibility. Most people don't want to be responsible. They want to follow orders, to be told what to do. Why else is the populace always braying collectively for 'strong' leaders? People don't simply wish to be told what to do; they wish to be told what to do authoritatively, without ambiguity. Philosophically, I have always been an anarchist but I couldn’t see government disappearing completely in my lifetime, so I thought that at least limiting the scope of government and restricting it to the protection of rights to life, liberty and property would be a nice start. Has that happened in the years since then? One good thing, though, is that Libertarian rhetoric has become common. The mainstream political parties use the terminology, but we are nevertheless less free now than we have ever been. Liberal, Conservative, Democratic and Republican political parties all talk about fiscal responsibility but none of them practice what they preach. They all speak of human rights, but really mean privilege enjoyed by some at the expense of others. Beyond the natural rights to life, liberty and property, any sort of benefit, the cost of which exceeds an individual's own tax contributions, is privilege. Many individuals have the privilege of living at the expense of everyone else and many corporations are subsidized at the expense of everyone else. And we, the ‘everyone else’, have the privilege of paying the bill. And paying and paying . . . Individual rights, the real rights that matter to you and me, are rarely mentioned. After we formed the Libertarian Party of Canada, I ran for election as a candidate in the federal election of 1974, in London East, Ontario, Canada. I got, I think, 71 votes. But that's another story. The point is that I was frustrated with the political state of affairs in 1974 and didn't like the way things were heading. In fact, my election slogan was: "1984 is only ten years away", a nod to George Orwell’s dystopian novel, 1984. 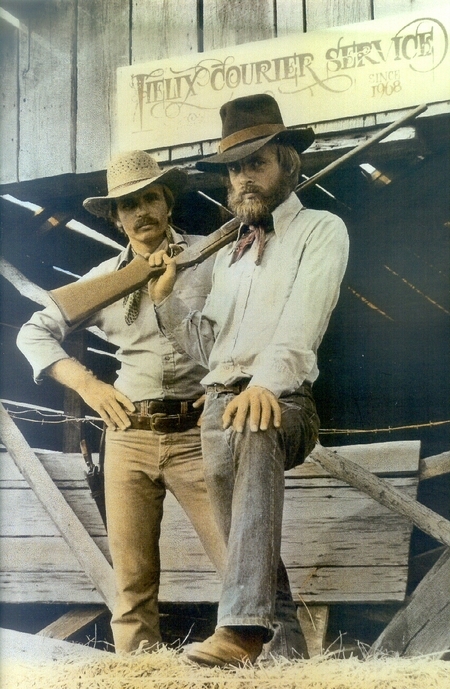 I thought things were going to hell in a hand-basket and would have been amazed, at that time, to be told by someone who had traveled back in time from today, that over forty years later we would have no real rights left, that most of the population cheered their demise, and that virtually no-one placed any value on the rights to privacy, independence, freedom of association and, of course, property. Where is this all going to end? And have all of the efforts by libertarians and other freedom seekers, then and since, been for naught? Certainly, Libertarians have never done well at the polls. I never expected to get elected and was surprised that anyone at all voted for me. People then had never heard of Libertarianism and knew nothing about it. People today still know very little about it. Still, I had hope that over time people would wake up and demand less government, not more, even if it happened without my direct involvement as a candidate or politician. Even today, there are Libertarian Parties in the U.S., Canada, and elsewhere. I know some of the people who are actively working in the parties as administrators and candidates and they are certainly much better alternatives over anyone offered up by the mainstream parties. Should we abandon political parties, altogether? No. Even though the parties will never carry the majority, they still serve as useful vehicles for education and helping people understand that freedom should be our natural state, rather than enslavement to government. I have lost any hope of ever electing rational, reasonable, honest, consistent individuals to any meaningful political office, nor can I imagine why we would want to try. I have since come to the conclusion that most politicians are fools, buffoons, and charlatans. The rest are thieves and extortionists. The fact that they may be stealing and extorting our money for 'the greater good,' doesn't make them any less dishonest and repugnant. I am speaking of course of mainstream politicians, Republicans and Democrats, and Canada’s Conservatives and Liberals and New Democrats. How would we fare if libertarians formed a government? I want to think that the representatives would be honourable and honest and help us change things for the better. However, working in a thoroughly-corrupted system makes any real positive change unlikely. 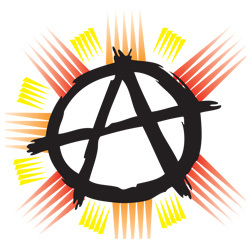 So, here we are, all of us here at Anarchapulco, telling everyone who will listen that Anarchism is the answer, that the best government is no government and that every politician and bureaucrat and enforcer should go out and get a real job. I know what you're thinking: "Sieg, why don't you stop beating around the bush and tell us what you really think?" OK, I will. Unless things change dramatically, we're doomed. We're ruled by idiots and we all line up meekly for whatever indignity they will force on us next. It is up to us to change things. So, what am I personally going to do about it? I love life, whatever it brings, and I laugh at the idiocy I see around me. Sometimes, I laugh at the idiocy in me, for caring enough to lose my composure on occasion or for thinking that things can change. Things are supposed to work in cycles, aren't they? If that's true, when are we going to be headed towards that part of the cycle where we become self-reliant, objective and honourable? But that doesn’t mean that we should all lie down and meekly allow ourselves to become yet more sheep to be fleeced and butchered by our appointed ‘shepherds’. I am tempted, sometimes, to escape to Ayn Rand's Galt's Gulch, from her novel, Atlas Shrugged, and not to worry about the world as it implodes around us. Still, I am a curious guy. I need to be in the thick of everything, to know what is going on. But I am no fool. With some libertarian and anarchist friends and partners, I am building a residential community in the mountains of Panama, called Roca Milagro, just in case we need a quiet place to live someday. Talk to me about Roca Milagro if you are interested in learning more about it. So, how do we live our lives in the uncertain years ahead? How do we keep the bastards from grinding us down? One bit of knowledge still comforts me. I'd rather be alive, even in this imperfect world, than imprisoned or dead. In many parts of the world, writing and speaking as I do, and as many of you do, would guarantee our incarceration or an early demise. Some of you have already been jailed for your principles; thankfully that is the worst that has happened, so far. We are anarchists. We don’t want rulers. But we can make rules among ourselves and we can keep standards of behaviour that will help us get along and thrive in a free society. We can live by example and show others how individuals can live cooperatively and peacefully without an overseer or today’s political equivalent. I have always liked how Jeff Berwick signs off his Anarchast videos with the slogan: ‘Peace, Love and Anarchy’. To people who don’t know what anarchy really is, or should be, let’s help them understand. Let’s continue to do what we’re doing. In fact, let’s ramp it up. Let’s blog and podcast and video-cast, write letters, demonstrate and let’s show up for conferences like this. Let’s make sure we know what we are talking about. We don’t want to scare people away because they think we’re nutcases or even dangerous. Let’s live our lives as peaceful individuals and let’s be tolerant of others unless they simply won’t leave us alone. A lot has been accomplished in the last ten or fifteen years. Even as our freedom is diminishing, brave and dynamic libertarians and anarchists are standing up against oppression by the very people and governments who are ostensibly there to help and protect us. Our only real chance to make massive change towards more liberty is to teach our young people, at least those with their minds still open. There are many ways to do that. We live in an environment of ideas. We need writers, artists, programmers, social media experts, marketers, translators, and much more, to get those ideas ‘out there’. We need to work on all this together. Compared to just about everyone here today, I am an old guy, an antique, a geezer. I’m still fighting the fight but it is your generation that is going to either bring us freedom or lose it for generations to come. I am proud of all of you. It takes courage to do what you are doing. It takes courage to be who you are, to stand proud among others who don’t understand you and who will do everything to stop you because they see you as dangerous to their way of life. I am asking you, not only on my behalf but on behalf of my family and your families and generations to come: Don’t give up. Someday, hopefully sooner than later, we will have the sort of societies that we want, perhaps not worldwide but at least in places that we can easily get to. Make it happen. We are all counting on you. And I will be there, working with you and learning from you. And let’s never, ever, let those bastards, whoever they might be, grind us down. Thank you. I would be very happy to meet with anyone who wishes to chat and discuss ideas and perhaps to enjoy some good Mexican beer. Sieg...the only thing better than reading this speech...was hearing you give it in person in anarchapulco. I love your passion for life and your ability to explain your viewpoints so easily. I truly believe that life is not that complicated...we just make it that way. You understand how to keep the message simple. Thanks for sharing your story ! Thank you, Rick! It was a pleasure to meet you at the Anarchapulco Conference and to break bread with you and other new friends at the 'Jaguar' restaurant in Acapulco. I agree that life can be simple if we would only stop complicating things and looking outside ourselves for answers. WE are the answer.